Want to lend your voice to the Safe Place community? 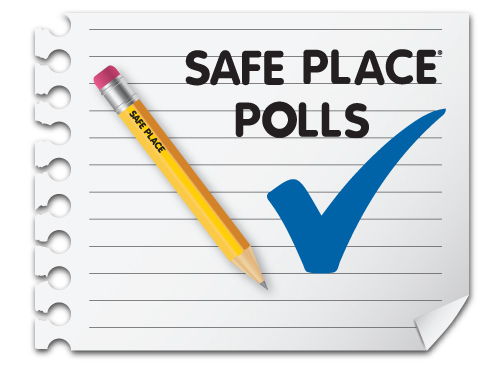 Participate in one or more of the following Safe Place polls! Where did you learn about Safe Place? Everyone has moments in their life when they feel “unsafe”. What do you do to address this feeling and bring yourself back to a point of feeling secure? Sometimes talking to someone about our fears and anxieties can be very helpful. Who are you MOST willing to talk to when you need to share how you are feeling? Why do you think most young people choose to use Safe Place?